Universal has been using all the cards in its pocket to tease Jurassic World: Fallen Kingdom. 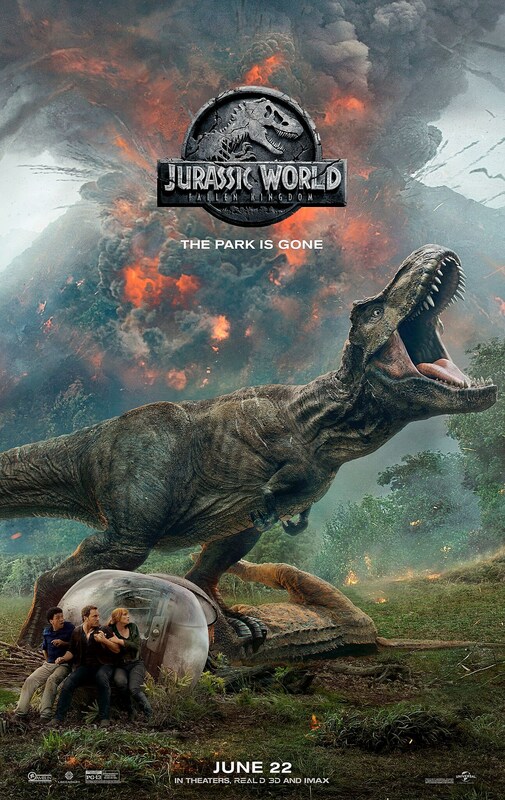 Just last week, a new teaser featured the franchise’s best character, Jeff Golblum‘s Dr. Ian Malcolm of course, saying “Welcome to Jurassic World.” And today, to ramp up hype for tomorrow’s new trailer, a poster features the T-Rex, and he is mad as hell. Based on this new poster, Universal sure ain’t being subtle about how insane the chaos of the Jurassic World sequel will be. Not only is there a massive T-Rex roaring his head off as he crushes another dino between his toes, but there’s a volcano erupting in the background. Totally chill. And below it all are Chris Pratt, Bryce Dallas Howard, and Justice Smith cowering behind one of those gyrosphere pod thing-a-ma-jigs. Stay tuned for the new trailer, which will drop tomorrow. The pre-historic chaos unravels when Jurassic World: Fallen Kingdom hits theaters June 22.